No child should suffer an injury due to neglect. If your child has been hurt while under someone else’s care or supervision, contact us to learn about your family’s legal options from our child neglect attorney. “Your child has been injured in an accident.” It’s a call that no parent should ever have to receive. Unfortunately, while we all do our best to protect our children, unforeseeable circumstances too often lead to harmful and avoidable injuries. Child neglect (also commonly referred to as “negligent supervision”) is a common factor in accidents involving children. When we trust others to watch over our children and this trust turns out to be misplaced, the consequences can be devastating. 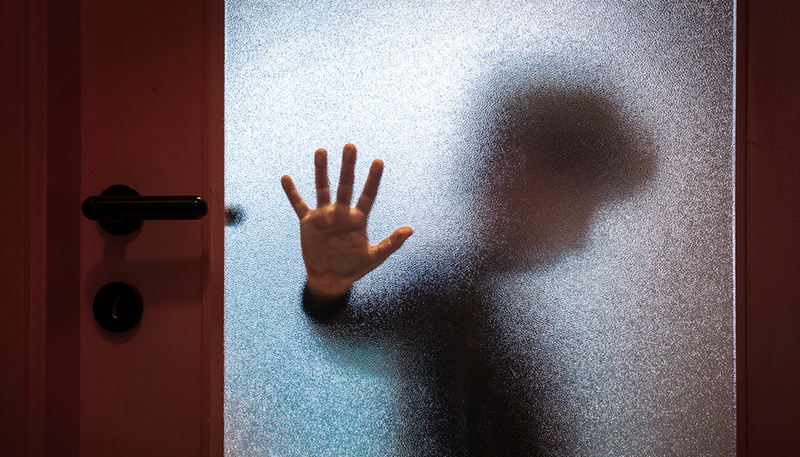 While cases involving intentional abuse are the ones that tend to make headlines, cases involving negligence are far more common – and the effects can be equally severe. What Is Considered “Child Neglect”? What is child neglect? In legal terms, child neglect exists in any circumstance where a child suffers an injury due to an adult’s lack of supervision or intervention. However, in addition to physical injuries, children who experience neglect can often suffer emotional trauma as well. When a child gets hurt in a traumatic accident, or when a child discovers that an adult might not always be there to protect them, this can have effects that last long past the period of physical recovery. At Rue & Ziffra Law Offices, we are sensitive to the unique and complicated issues involved in cases of child neglect. We have experience representing families with infants, toddlers, pre-teens, and teens who have been injured under a wide range of circumstances, and we routinely handle cases throughout Volusia and Flagler Counties. If your child has been injured while under someone else’s care or supervision, we encourage you to contact us for a free, no-obligation consultation. We will help you clearly understand your family’s rights; and if you wish to pursue legal action, we will do everything necessary to hold the appropriate party (or parties) responsible for your child’s injury. Children explore. They take risks. They test their boundaries. These are all normal behaviors, and they are factors that adults who are supervising children need to take into consideration. We routinely hear from local parents whose children have been involved in a wide variety of accidents with injuries. Children’s gyms, trampoline parks, and climbing walls all offer opportunities for physical and mental development. They also inherently present risks for injury and facility staff members must be adequately trained to instruct, guide, and supervise their child patrons. If your child was injured while boating with a friend’s family or on a tour or charter, you may have a claim for child neglect. Boating on the open water can be dangerous, especially for children, and adults have a responsibility to ensure that children are not put in harm’s way. If the owner of the boat has boater’s insurance, your case will most likely involve a claim against the owner’s insurance company. While car accidents are dangerous for everyone, children are particularly vulnerable to suffering injuries in the event of a collision. From texting behind the wheel to improperly installing a car seat, there are countless mistakes that can lead to serious accident-related injuries. Daycare centers in Florida have an obligation to hire competent staff, and they must provide adequate supervision of children at all times. Injuries from falls, collisions with other children, choking, and other accidents can all support claims for child neglect. Dogs are unpredictable, and even the most well-trained dog can injure a child in an unprovoked attack. For this reason, dog owners who are watching children must be careful to ensure that the children are adequately protected against the risk of a harmful dog bite. During field trips to museums, zoos, amusement parks, and other venues, teachers and parent volunteers must provide constant supervision in order to protect students from a broad range of potentially-dangerous situations. From playground collisions to slips on recently-cleaned tile floors, many types of accidents at school can (and should) be avoided with adequate supervision. When teachers, administrators, and other school staff fall short of meeting their obligations, parents can take legal action against the school itself. School bus accidents can potentially support a variety of legal claims, including claims for child neglect. Once again, in most cases, the parents’ legal recourse will be to file a lawsuit against the school (rather than the bus driver). Here in Florida, we have the luxury of being able to keep our swimming pools open year-round. Unfortunately, this leads many people to become complacent about pool safety. Any time children have access to a swimming pool, they need to be carefully supervised, and parents of injured children will often be able to pursue claims against the pool owner’s home insurance policy. While certain injuries during youth sports events are to be expected, coaches and referees still have a legal responsibility to keep injury risks to a minimum. If your child was injured during a game or practice, you should speak with an attorney to find out if the accident was a result of child neglect. Q: When is an injury serious enough to consider taking legal action for child neglect? If your child’s injury requires medical attention, it will be worth your time to speak with an attorney (if you are not sure if your child needs to see a doctor, you should always err on the side of caution). Determining the true cost of a childhood injury is not always a simple process, and you owe it to yourself and your child to learn about your family’s rights. Q: What compensation is available for injuries suffered due to child neglect? Q: What are some specific examples of child neglect? Q: Who can parents sue for child neglect? Q: Can we still sue if I (or my child) signed a waiver? If your child signed a waiver, in all likelihood this waiver will not be enforceable. If you or your spouse signed a waiver on your child’s behalf, there are still numerous reasons why your signature may not have the effect of foreclosing a claim for child neglect. We have particular experience in cases where liability waivers have been raised as a defense, and we can quickly assess whether the waiver that you or a family member signed is likely to impact your case. For more information about your family’s rights following an injury due to child neglect, please contact us to schedule a free initial consultation. To speak with an attorney at one of our nine convenient office locations in Volusia and Flagler Counties, please call (386) 788-7700 or inquire online today.